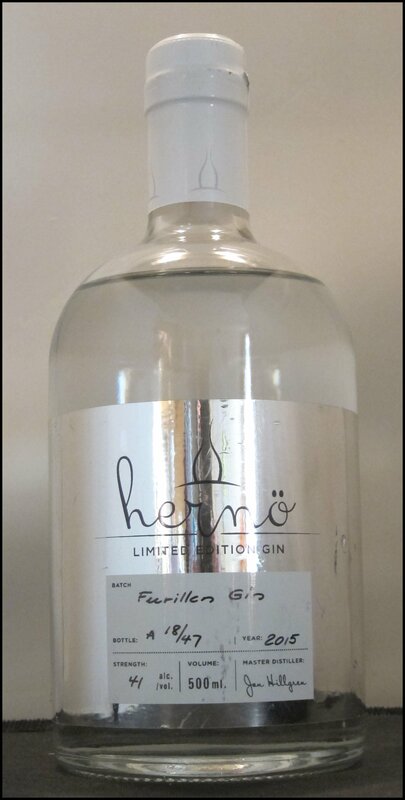 Today’s article focuses on a rather special gin from our friends at Hernö Distillery in Sweden. Namely, the gin made exclusively for the Fabriken Furillen Hotel on the Furillen Penisula of Gotland Island. The gin is the only spirit served at Fabriken Furillen and is served, not from bottles, but from a 240 litre stainless steel tank. The spirit is made using wild juniper, fresh elderflower, and fresh rose; all foraged by the hotel’s founder, Johan Hellström. In addition to these botanicals, coriander seed and fresh lemon peel are also used. The gin is bottled at 41% ABV. Nose: Bright, vegetal notes, with hints of bright cucumber, coriander, and a hint of sea salt. Taste: Juniper to start and then floral and citrus coriander; bright, with just a hint of oiliness. These are followed by some very fresh, crisp, leafy, herbal notes. Exciting and invigorating. Wonderfully fragrant; leafy and herbal, with some cucumber notes accompanied by herbal juniper and savoury notes. The finish is long and full of citrus, making this very refreshing, complex, and unusual. Crisp, with unexpected chocolate notes upfront, followed by some bright, leafy, herbal flavours and a touch of florality, before piney juniper notes take centre stage. This gin works well at low temperatures, making this Martini an excellent pre-dinner cocktail, rousing to the appetite. Packed full of strong flavours, this is bold and herbaceous, with bright floral notes and a little spiced citrus; the gin certainly holds up well against the vermouth and the Campari. There’s also a lovely touch of dark chocolate on the finish. It is always a pleasure to try something exclusive or rate, and this gin is no exception, but it is how the Furillion Gin embodies the terroir of where many of the botanicals are sourced that is really exciting. It is that slight hint of salinity that sets this gin apart: how it captures the character of the sea and coastline. Unique and outstanding. As a writer on gin, I am often asked one of two questions: “What is your favourite gin?” and “Have you considered making your own gin?”. The answer to the second one is no and the reason is that I like being independent and able to chat to distillers without them worrying about disclosing commercial sensitivities to a competitor. But, if I were to make a gin, I think it would be one that was really strong – beyond the Navy Strength of 57.1% ABV. As a spirit that is often mixed, I believe that a strong gin has unique mixing potential. Fortunately, Swedish distillers Smögen Whisky AB have done the hard work for me, having released their Uncut Gin in the UK: a gin that is bottled at 75.3% ABV. This exceeds the ABV of any other commercial gin, with the closest unaged comparisons being Blackwoods 60 and Finsbury 60 (both 60.0% ABV) and the aged Alembics Caribbean Cask (65.6% ABV). The Smögen Whisky AB distillery is located in Hunnebostrand. In addition to the Uncut Gin, they make Strane Merchant and Strane Navy Strength. The idea for the Uncut comes from the fact that their gins are made from a blend of three separate botanical distillations, which are blended together before proofing (i.e. undiluted). 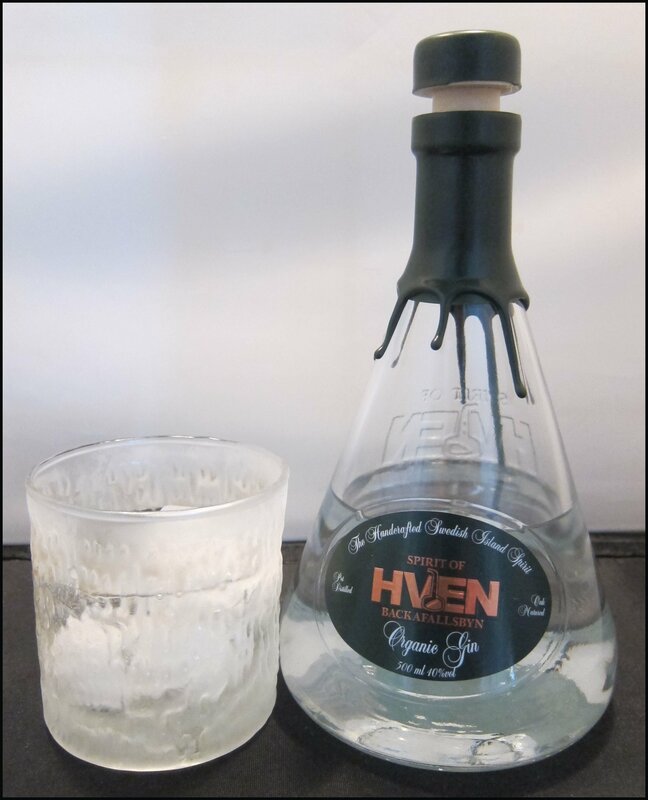 The resulting liquid was described by distiller Pär Caldenby as, “ too good to hold back” and so limited quantities are bottled at the uncut, off-the-still strength. Nose: Lemony citrus upfront, with some juniper pine notes that are well-integrated with hints of spice and herbal notes, with just a touch of menthol and plump juniper berries. Taste: Despite its high ABV, the spirit is surprisingly shippable: there is citrus up-front, followed by some woody spice, orange peel, vanilla, and a hint of coconut. The finish is a little perfumed with orange blossom and freshly-cracked coriander seed, mixed in with a little resinous spruce, light menthol pepper, and pine blossom. If you did want to drink this neat, then I’d suggest a single serving of a half oz measure served in a mini Glencairn glass – lovely. This serve adds viscosity and intensity; it has very strong flavours. It’s excellent served this way, but one downside is that it probably makes the spirit very smooth and easy to drink and so, in some ways, makes it harder to savour than when you sip it at room temperature (when it’s easier to take your time over it). A strong Gin & Tonic in terms of alcohol, but especially in terms of flavour: it is strong and piney, with citrus and coriander notes, too. A bold, but straightforward Gin & Tonic that makes an excellent choice for the first drink of the evening. Textbook. Probably the most powerful Martini that I have ever had. It really packs a punch, but isn’t hot and does not burn. It’s so packed full of flavour: juniper, angelica, coriander, citrus, spice, herbal and floral notes – all the key flavours associated with gin are here and integrated very well together. Superb. As you would expect, Uncut produces a bold and flavoursome Negroni; a cocktail that delivers some powerful flavours and is not for the faint hearted. As a lover of the Negroni, I think this is super: it is piney and juicy, plump with fruity notes and some deeper, herbal flavours, before the anticipated bitter finish. Watch out, though, this is very easy to drink, so I would suggest having one delicious (but small) serving. Very, very crisp and leafy with hint of cucumber peel, coriander, and fresh citrus, followed by some pine and floral notes. This is a lovely way to enjoy the gin, because you can lengthen it significantly without losing any of the gin’s character. It works well at a 5:1, 6:1, 7:1, or even up to a 10:1 ratio of gin to soda water. Strane Uncut is certainly a unique gin and one I would recommend trying; not only is it an experience, but it tastes very good, too. 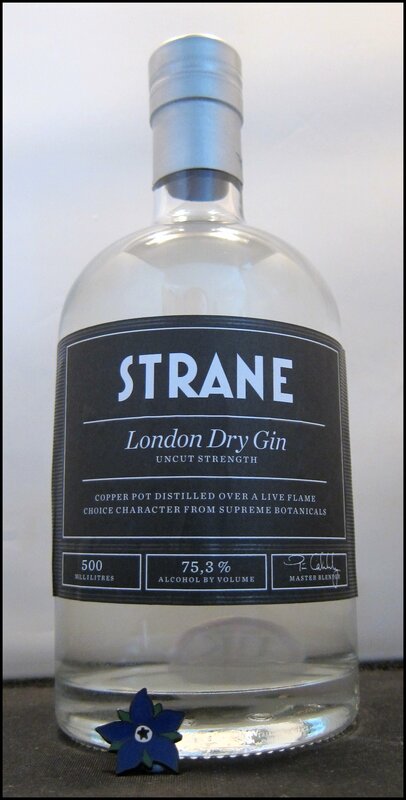 Strane Uncut Gin is available for around £59 for 50cl from Master of Malt. Nose: Dried green leaf with a touch of tea and a hint of smoke. Taste: Coriander upfront, followed by citrus and a light, sweet biscuit spice. There’s a warmth that grows, but doesn’t burn. The finish is dry, with notes of citrus, coriander, and a hint of pine. Strong and citrusy, with a slightly menthol coriander note coming through and a spicy citrus note reminiscent of lemongrass. Yum! Heavy and intense, with plenty of juniper. This is a cocktail that really raises the appetite – it’s a lovely choice for the first drink of an evening, especially if you’re looking for something strong, cold, and well-made. This has heavy juniper notes that really shine through. I think it is absolutely superb and shows how much of an impact the gin can have in the cocktail. Fresh and crisp, it has less bitterness than usual. It would make a great choice for an aperitif. Today, we have an exceptionally exciting product to work and we’re proud to say we were given the first bottle to review, too. That product is Hernö Juniper Cask Gin from the Hernö Distillery, the world’s Northernmost distillery in the small village of Dala, just outside the City of Härnösand in North Sweden. This spirit follows on from the great success of their Swedish Excellence Gin and their Navy Strength Gin. A few Craft Distillers have already experimented with aged/rested/yellow gin, but most use ex-bourbon casks; other examples include Cognac and ex Jean de Lillet casks (the latter is used by Burrough’s Reserve), but, as yet, no-one has integrated that vital component of gin into their use of wood: juniper. 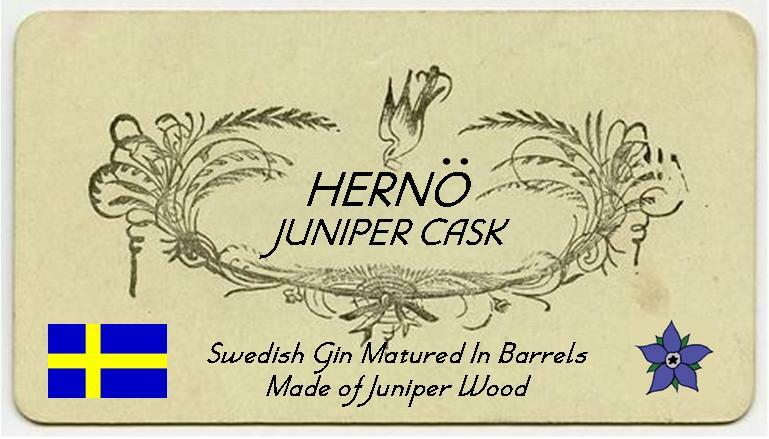 Hernö Juniper Cask has been matured in barrels made from Juniper wood. 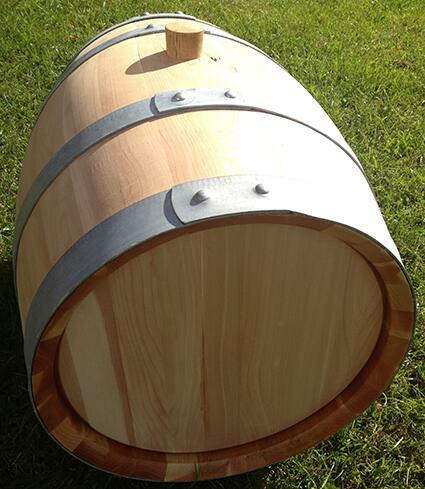 The barrels are Ankare in size, which is a traditional Swedish measurement dating from the 1600s that equates to 39.25 litres. After its time in the barrels, the gin is diluted with water from the distillery well to 47.0% ABV. It is purposefully not chill-filtered, in order to retain maximum character. Nose: Some lemon and orange, followed by a progression of crisp pine notes, woody notes of juniper and a little sappiness. Intense, inviting and engaging. Taste: A rich, smooth and silky – almost honey-like – texture. There’s a herbal sweetness to start, before moving onto a light, green juniper note, followed by a darker, heavy flavour of juniper and rich, bold pine notes. Finally, there’s some citrus peel and a little woody sappiness. Finish: Resinous pine, a hint of beeswax, citrus peel and a touch of coriander – long and harmonious. Very thick, with a silky texture. Big, full and bold flavours of green juniper, pine, and hints of sappiness, followed by citrus, coriander, and some herbs and spices, such as fennel. The flavour then progresses on to notes of vanilla and wood, before a long, dry finish of pine with a hint of beeswax. Intense, superb and a great way to enjoy the spirit. A great long drink: the piney, woody juniper notes work really well with honey, as opposed to sugar. This is a great way to appreciate the gin in a long, refreshing drink. Some savoury spice notes come through on the nose, such as cumin and caraway. The flavour is mainly strong juniper and coriander, with a little sweetness to start, followed by a dry finish, which is long and lingering. Looks superb – a very light gold in colour. This is a clean and crisp Martini, but, although it makes a good drink, I can’t help but feel that the vermouth detracts from the flavours of the gin at the ratio that I used (5:1). I think the solution to this problem would be to go dryer, i.e. use less vermouth. Also, mixing it with Lillet may have some potential. Very intense; perhaps a little too sweet with Martini Rosso (which adds a slight note of coconut), so I would recommend using a more bitter vermouth, such as Antica Formula or Sacred Sweet Vermouth. There’s a great, long finish of piney juniper with just a hint of sap. With the more bitter vermouth, this is simply superb. An intense French ’75, but nonetheless very good, indeed. This is full of excellent, strong pine notes, a little sappiness and a hint of raw honey. Complex and unusual. Superb. Hernö Juniper Cask is a superb spirit and certainly one of the highlights of 2013’s gin releases so far; I’ve not had anything as exciting and engaging and with such bold juniper flavours since I tasted Barr Hill from Vermont – coincidentally, fans of this gin are sure to be fond of Hernö Juniper Cask. The gin is excellent on its own, but I enjoy it even more from the freezer. As mixed drinks go, I think the Bees Knees (a variation on a Collins) was my favourite. A special thanks to Jon and the Herno Team for giving this exciting preview. Strait between Denmark and Sweden. This is a small island, around three square miles in area, and has a population of only a few hundred. 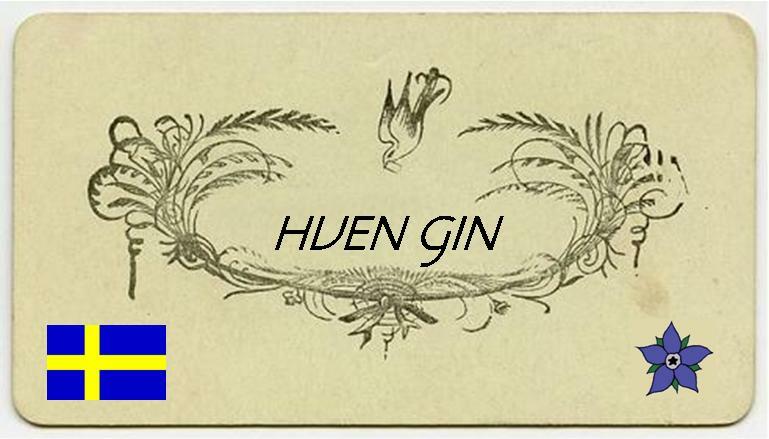 Hven Gin is made with a wheat spirit base and a whole array of botanicals, including: Swedish Juniper, Mauritian Bourbon Vanilla, Cassia, Grains of Paradise, Citrus, Sichuan pepper, Aniseed, Guinea Pepper, Calamus Root and Cardamom. Before the distillation, the botanicals are macerated in spirit in oak barrels for 24 hours. After a distillation with these botanicals, the distillate is then rested in casks, before being re-distilled and bottled at 40% ABV. Nose: Crisp green apple and pink grapefruit with a hint of vanilla. 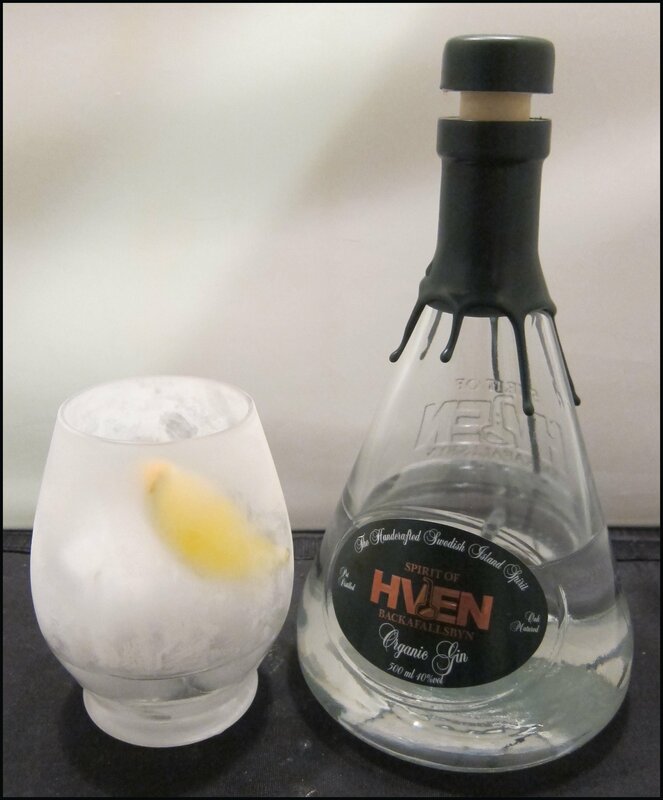 Taste: What is immediately noticeable with Hven is the texture of the gin: it is almost water-like in its smoothness. Initially, there are notes of citrus, especially grapefruit, followed by some coriander and then a little spice and vanilla sweetness. There’s a burst of dry pine towards the end and a long, lasting finish with a little citrus tang. Lots of citrus and cilantro; incredibly crisp and fresh. This is a Gin & Tonic that sets itself apart, with the crisp citrus notes being more leafy than juicy. It makes for a refreshing drink with some bitterness, which will appeal to those who shun sickly sweet cocktails. A rather fragrant and leafy Martini with citrus and a touch of nuttiness. The perfumed aspect of the coriander and a slight hay-like aspect also come through. This is a very complex Martini with many layers of flavours that open up as you drink. A rich, thick and flavourful Negroni, with a strong, jammy hint of raisin coming through, Along with cassia and cinnamon, this gives the drink a fruity, confectionary element, which is followed by an enduring bitter streak at the end. As I drink, I am reminded of Christmas pudding. This is different, but quite exciting and well worth a try. The floral citrus notes of this gin work well with the tart lemon, as well as adding a little dryness. The gin sits quietly in the background for this drink, but is still discernable. If you want a bit more of the spirit, then I’d suggest adding an extra half measure of gin. 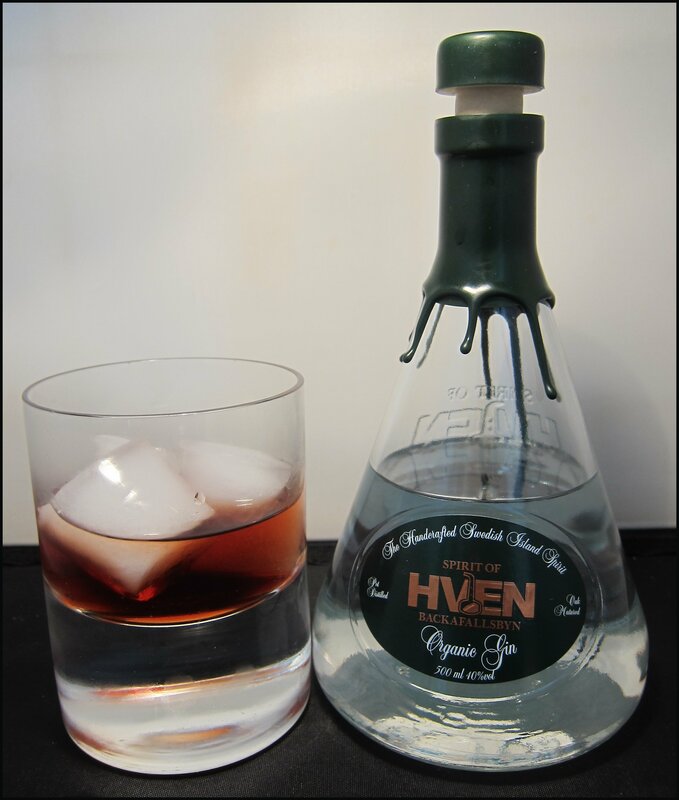 This is a recommended serve on the Hven website. Works very well at this temperature, where the texture becomes a tad more viscous. The fresh, zesty lemon complements the floral citrus notes of the spirit. 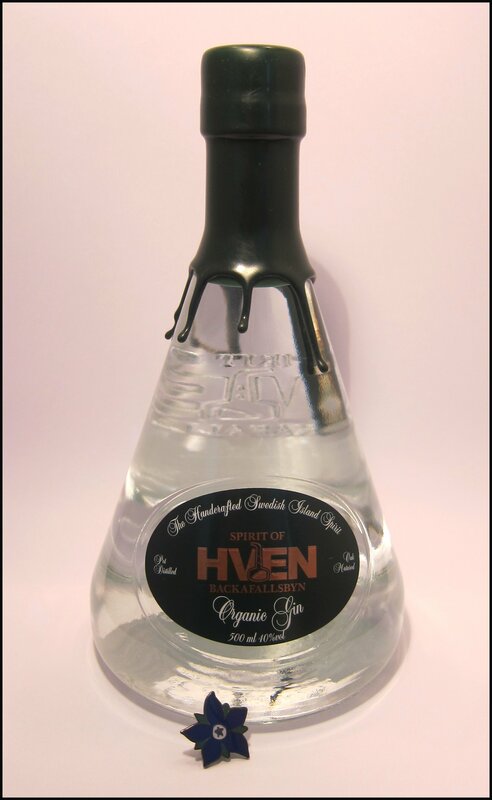 Tasting Hven makes it clear that there is more to this spirit than a striking bottle. My favourite drink was the Negroni. 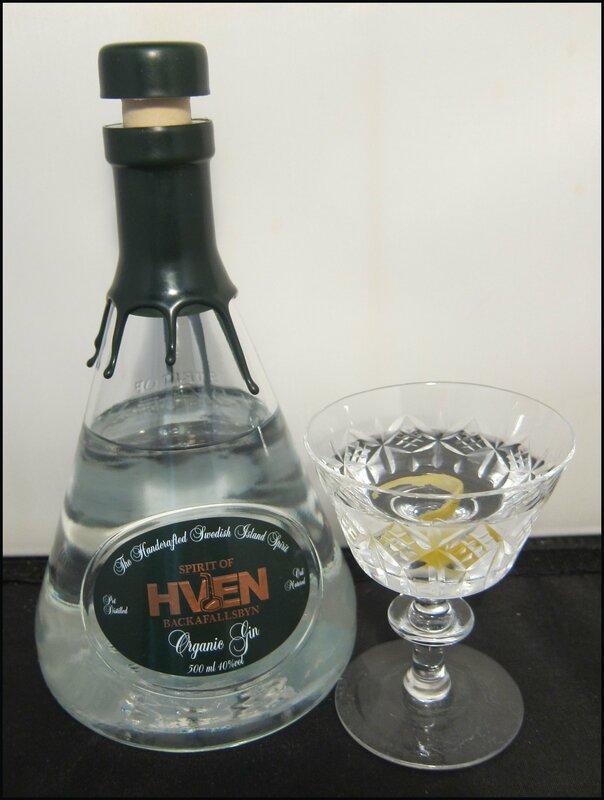 Hven Gin is bottled at 40%ABV and is available for around £30 for 50cl from Master of Malt. My story with Hernö gin started back in January 2012, before their distillery was built and not even the merest drop of this juniper spirit had been tasted. At the end of November 2012, two bottles arrived on my doorstep (one for me and one to be shared by the Modern Madame of Juniper and the Queen of Gin at the Juniper Society). Nose: Juniper and lemon verbena; piney and perfumed. Taste: Juniper to start and then a full, zesty, jammy and floral combination of orange-coriander, followed by some orange and lemon blossom mixed with lemon balm and verbena. The finish is long and lingering, with plenty of citrus. The citrus and floral notes give this gin a contemporary character, but it’s backed up by plenty of pine. Very enjoyable and a fine gin to enjoy on the rocks. Really flavourful and very tasty: fresh, crisp, sappy pine and plenty of coriander, as well as some lighter herbal and floral notes. This is crisp and refreshing and reminds me of when I tired Hendricks for the first time – simply superb. Taste: Lovely – cool and crisp with both some zesty citrus notes and a deep flavour of coriander; the other herbal botanicals stop it from becoming too zesty. There’s also lots of pine on the finish. There are a lot of classic elements to this Martini: it’s clean, cool and crisp, and gives you that Martini woosh! At the same time, it’s a little twist away from a traditional Martini. Quite sweet, but with lots going on. There’s a hint of lemon balm and lemon verbena, along with low herbal and high floral notes and a fair bit of coriander. Not too bitter, but the familiar Negroni finish is there (although perhaps more dry than bitter). I really like this, a treat to drink. Floral and herbal notes make this quite unusual. There’s lots of coriander and piney juniper, but, despite the mix, I think that it works surprisingly well; you might do a double-take after the first sip, though. 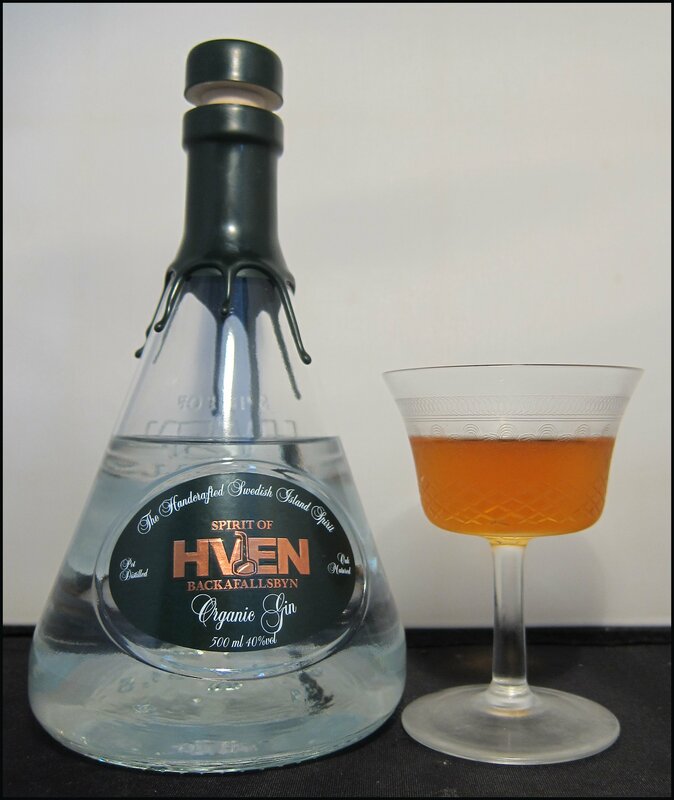 A rather odd French ‘75: the heavy citrus and coriander combine with the Champagne to create both a very dry and very citrusy drink. This cocktail actually appeals to me quite a bit and, as the sugar cube dissolves, the drink does improve. Hernö Gin is a great example of how craft gin distilling is moving out across the world, after a concentration in the US and some parts of Europe. It is a gin with a distinctive character and one that reflects the individuality of the distillery and distiller. Despite the heavier citrus and coriander notes, there is something about the deeper herbal flavours in this gin that sets it apart from the “coriander monsters” of the USA. It makes some unconventional cocktails that some people will think are superb (the Gin & Tonic and Negroni did it for me) and also has a lot of potential for bartenders to experiment with. A great gin with which to launch another year of gin reviews. 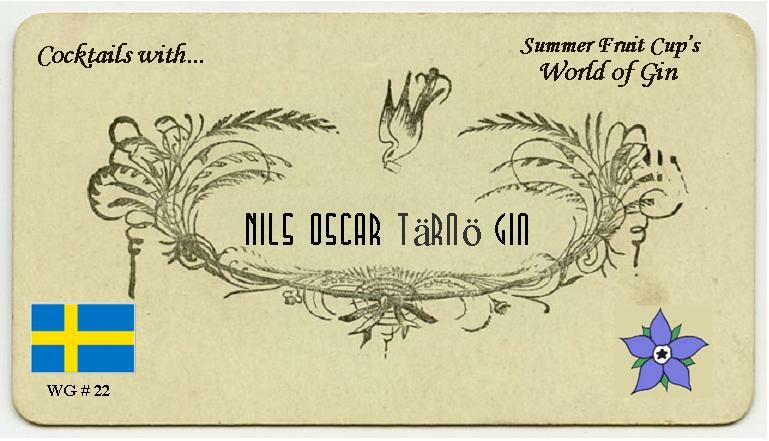 Nils Oscar Tärnö Gin is made at the Tärnö distillery in Nyköping, Sweden, which lies in the Sörmland Countryside in the mid-east of the country. Tärnö also have an established brewery where they make a variety of ales and, in addition to the gin, a range of vodkas and an aquavit. It is bottled at 41.5% ABV. Nose: Fruity and herbal, with strong notes of jammy berry and a hint of pine. Taste: The berries carry through to the flavour, providing an initial jammy and creamy sweetness that is followed by the dryness of sloe berries, as well as juniper and pine. A rather jammy Gin & Tonic with hints of berry and elderberry. Fresh and fruity, this was quite refreshing. There was some juniper there too, which reminded me of the Lebensstern Dry Gin. Unusual and very tasty. Very flavourful, with lots of dry juniper followed by rich and full fruity, jammy berry notes. Again, this was unusual, but very, very good. Quite substantial almost food-like, this was very herbal and intense, but nonetheless worked very well. It suddenly made me quite hungry and crave for some little savoury biscuits or crackers. The normal Negroni bitterness was quite subdued and, overall, it was very smooth, making for a very pleasant drink. This works really well; the rich honey and fruit flavours of the Punsch complement the jammy, fruity notes of the gin. This cocktail was refreshing and complex, with lots of body and had a similar dry-sweet balance to that of an Aviation. A nice drink, but the gin was lost other than on the finish. In particular, the gin’s sweetness, with its berry jamminess, was lost amongst the general sweetness of the drink. As a result, it was a pleasant drink, but not a great way to appreciate the gin. Very crisp and fresh, this reminded me of a typical Vesper, but with a more rounded flavour helped by juicy and succulent fruit notes in the middle. It’s a very tasty drink, but I’m not sure it would cut mustard with 007. Strangely, anise seems to come through quite well, as well as some fruity jam; the latter sweeter notes are neatly balanced out by the lemon juice and the ginger ale adds length and zip. As a Scandinavian bonus, here are some tasting notes on a Finnish Gin that I tried after a friend visited the country. 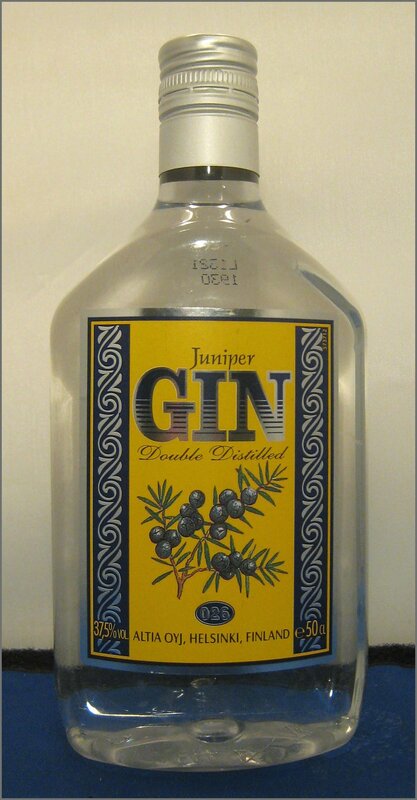 Juniper Gin Double Distilled is bottled at 37.5% ABV and is made by Altia Oyj in Helsinki, Finland. Nose: Quite a classic nose; juniper, coriander and angelica, followed by some bitter, earthy notes. Taste: There wasn’t a huge amount of flavour, only some understated juniper and subtle earthy notes; almost soil-like. Quite reasonable if a little on the sweet side, some piney juniper and sweet citrus. Pretty average but perfectly drinkable. Quite nice and smooth, mostly consisting of notes of juniper and coriander. Nothing too complex, but perfectly respectable. There was a touch of anise at the end.